Bangladesh is trapped between the Himalayas in the north and the encroaching Bay of Bengal to the south. Bangladesh is most vulnerable to natural disasters due to the frequency of extreme climate events and its high population density. Floods are frequent and cause the greatest economic and human losses to the country. The flooding problems are exacerbated by sediment transported by three major rivers- the Ganges, Brahmaputra and Meghna. Climate change poses significant risks for Bangladesh. The impacts of higher temperatures, more variable precipitation, more extreme weather events, and sea level rise are already felt in Bangladesh and will continue to intensify. The impacts result not only from gradual changes in temperature and sea level but also, in particular, from increased climate variability and extreme events, including more intense floods, droughts, and storms. These changes are already having major impacts on the economic performance of Bangladesh and on the lives and livelihoods of millions of poor people. In Bangladesh, climate change will affect many sectors, including water resources, agriculture and food security, ecosystems and biodiversity, human health and coastal zones. - Many environmental and developmental problems will be exacerbated by climate change. - Predicted rainfall increases, particularly during the summer monsoon, could increase flood-prone areas in Bangladesh. - Crop yields are predicted to fall by up to 30 per cent, creating a very high risk of hunger. - Predicted temperature increase will cause the melting of glaciers in the Himalayas. In the short term, the global warming increases risk of flooding, erosion, mudslides during the wet season. In the longer term, global warming could lead to disappearance of many glaciers that feed many rivers in South Asia. - Gender parity in primary and secondary schooling. The country is on track to achieve most of the MDG goals, even the difficult ones like infant and maternal mortality by 2015. However, the predicted adverse impacts due to global warming could reverse the recent economic and social gains. The progress towards achieving the MDGs, such as eradicating poverty, combating communicable diseases and ensuring environmental sustainability could be in jeopardy. Agricultural growth is especially effective in reducing poverty. Estimates show that overall GDP growth originating in agriculture is, on average, at least twice as effective in benefiting the poorest half of a country’s population as growth generated in non-agricultural sectors. In sum, agricultural growth can reduce poverty directly, by raising farm incomes, and indirectly, through labor markets and by reducing food prices. It is predicted that climate change could have devastating impact on agriculture. Agriculture is a key economic driver in Bangladesh, accounting for nearly 20 percent of the GDP and 65 percent of the labor force. The performance of this sector has considerable influence on overall growth, the trade balance, and the level and structure of poverty and malnutrition. Moreover, much of the rural population, especially the poor, is reliant on the agriculture as a critical source of livelihoods and employment. - The predicted sea-level rise will threaten valuable coastal agricultural land, particularly in low-lying areas. - Biodiversity would be reduced in some of the most fragile environments, such as Sundarbans and tropical forests. - Climate unpredictability will make planning of farm operations more difficult. The effects of these impacts will threaten food security for the most vulnerable people of Bangladesh. The country’s agriculture sector is already under stress from lack of productivity and population growth. Any further attempt to increase productivity will likely to add pressure to available land and water resources. ​​​Bangladesh meeting says stay the course on climate change. Parliamentarians from over 20 nations have agreed to consolidate efforts in global Climate Change mitigation by unequivocally supporting legislation and relevant policies enhancing disaster risk reduction and early warning systems. Consequently, the legislators at the just ended ‘International Meeting of Parliamentarians on Climate Change: Durban and Beyond’ have announced the establishment of a global network of Parliamentarians in support of people most vulnerable to climate change. The grouping known as the Parliamentarians for Climate Justice Network shall focus its resources in communities deemed vulnerable in whichever corner of the world. The Network is to promote strategic alliances of like-minded Parliamentarians working through existing structures where possible – including cross-party groups and parliamentary networks. A Steering Committee immediately formed constituting of legislators from Bangladesh, Costa Rica, Canada, Scotland, Nepal, Philippines, South Africa and Senegal shall work on the nuts and bolts towards refining the Network’s role and objectives. The participants further called on governments to develop national action plans on climate change adaptation and to allocate fixed proportion of national budgets to check on the effects of climate. A fifteen point Dhaka Parliamentary Declaration released at the end of the meeting implores governments to honor commitments by providing new and additional finance for vulnerable countries. As an immediate measure, the Declaration tasks governments to put aside US 30 billion dollars for the start-up of a Green Climate Fund with a view towards growing the fund by three over the next ten years. The fund, participants’ state, should likewise cater for the Least Development Countries. In addition, engagement in constructive debate on the issues of technology transfer and production transfer were encouraged and deemed vital to enable the affordability of equipment needed for mitigation in the countries of the global south. With regards to oversight, the Parliamentarians are to gauge and hold to account that their governments on implementation of ratified international agreements. This aspect, Parliamentarians hope shall be accentuated by monitoring disbursal of international climate finance to ensure effective and transparent funding. Climate change was termed the greatest threat to the lives, livelihoods and welfare of global constituents as well as to the ecosystem upon which humanity depends on. In this regard, a global solution is needed to resolve the global problem. Looking inwards for a start, the legislators have thus pledged to mainstream climate change mitigation and adaptation measures in their respective Parliaments by collaborating across party-political boundaries, formation of dedicated Parliamentary Committees dealing with climate change where they do not exist and creating awareness among Parliamentarians. The meeting opened on March 14 by the Prime Minister of Bangladesh Sheikh Hasina was attended by Parliamentarians from Bangladesh, Canada, Costa Rica, Ethiopia, Mali, Netherlands and Maldives. Legislators from Nepal, Pakistan, Philippines, Samoa, Scotland, United Republic of Tanzania and Uganda were also in attendance. EALA was represented by the Speaker, Abdirahin Abdi and the Senior Public Relations Officer, Bobi Odiko. In his remarks on Day 1, the Speaker noted that the entire globe remained vulnerable to climate change. “It is already evident and widely accepted that the world is warming and that all effort are necessary to stabilize global temperatures,” he remarked, adding that frequency and intensity of extreme events such as cyclones, floods, droughts and variable precipitation and sea level rise were increasingly been felt. 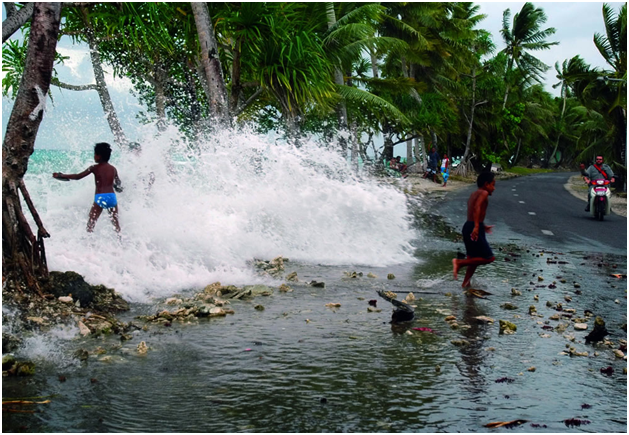 On the Hyogo Framework for Action, a 10-year plan to make the world safer from natural hazards that was adopted by 168 Member States of the United Nations in 2005, legislators underpinned the need for immediate actions to reduce risks associated with climate related hazards. Mel Sarmiento, MP from Philippines said his country had taken a proactive stand in containing climate change. He mentioned that Philippines had enacted the Solid Waste Act, Clean Air Act and Clean Water Act in response to the Kyoto Protocol (International Agreement linked to the United Nation’s Framework on Climate Change signed in December 11, 1997 with an aim to fight global warming). In addition, Parliament went further to enact the Climate Change Act 2009 and the Disaster Risk Management Act 2010 following the Hyogo Framework Action Plan. Claudio Monge, MP, Legislative Assembly of Costa Rica and Chair of the Committee on Environment informed delegates that Costa Rica was yet to witness serious problems of Climate Change but that the Executive and Legislature were concerned by the global impact of Climate Change. In the closing remarks at the end of the conference, EALA Speaker Abdirahin Abdi called for a push towards climate justice between and among the nations. “There is need to persuade bigger emitters to check the problem, push regional initiatives to stay the course and devote budgets to developing renewable energies if we are to reverse the trends,” Abdi stated. Speaker of the Bangladesh Parliament Abdul Hamid underscored the need for a global platform that draws attention to the plight of countries suffering from the excesses of climate change. Robert Jukham, Acting UNDP Regional Representative observed that Bangladesh had played a leadership role in tackling climate change. ”I encourage MPs to position themselves to better influence international agendas in climate change and disaster risk reduction. In this light, I hope the conference shall indeed serve as a platform for Rio+20 conferences on sustainable growth to be held in Brazil in June this year,” Jukham noted. Chopra, Anuj. "How Global Warming Threatens Millions in Bangladesh." 26 March 2009. US News & World Reoprt. March 2012. Kempton, Rosemarie. 21 February 2012. www.napavalleyregister.com. March 2012. Luffman, Laurinda. "SOS Children's Villages." 7 March 2012. SOS Children's Villages. March 2012. Staff, Bikya Masr. "Bikya Masr." 17 March 2012. March 2012. Williams, Ian. 7 December 2009. NBC News. March 2012. Following the Durban talks in December on tackling climate change, the foreign minister of Bangladesh criticized developed countries for failing to distribute funds aimed at helping poorer countries adapt to environmental change. Industrialized nations promised to provide 30 billion dollars to the world’s most vulnerable countries by the end of 2012. So far, less than 3 billion dollars has been made available and the Bangladesh minister, Dipu Moni, described this as “dismal”. In an article published in the Guardian, Dr Moni explained how vulnerable countries like Bangladesh were being “ marginalized”, even while they faced ever-increasing dangers from global warming. Around half of worldwide deaths caused by tropical cyclones occur in Bangladesh and, with its low-lying lands and dependence on agriculture, communities are extremely vulnerable to long-term damage from flooding and storm surges. For example, in 2009, cyclone Aila destroyed many homes and livelihoods when it struck the south-western coastal region of Bangladesh. 4,000km of roads and embankments were damaged, many of which have yet to be repaired. Dipu Moni has called on rich industrialized nations to adhere to their commitments to provide financial support to developing countries. Unless the pledged 30 billion dollars is provided, countries like Bangladesh will be made even more vulnerable to the impact of climate events. “[Developing] countries are having to make all the difficult.... [and] very expensive choices,” she said, when it came to investing in infrastructure and other methods of protecting citizens. Bangladesh is already doing what it can to safeguard the livelihoods of communities for the future, such as funding research and development into crop varieties which are resistant to flooding or salinity. Rising sea levels and storms threaten many agricultural communities. In a Guardian article this week, one Bangladeshi shrimp farmer describes how a huge surge in the Kholpatua river caused by cyclone Aila drove water over 30 feet-high embankments to completely destroy his village and their shrimp ponds in 2009. Nobody from his village was killed, but the sludge left by the water ruined their shrimp farms. ​With around 15 million Bangladeshis living around the Bay of Bengal and areas vulnerable to climate change, migration to other parts of the country is not a realistic option. Villagers therefore depend on support from the government or non-governmental organisations (NGO) to help them rebuild their homes and livelihoods. One NGO in the region is BRAC, which is working in conjunction with the UN Development Programme to build storm and flood-resistant buildings and promote alternative activities such as crab farming and growing salt-tolerant rice and maize. Such targeted local initiatives are desperately needed to get communities back on their feet. The promised funding from the international community would be one way to widen access to such help. When the federal government picked 16-year-old Anna Yip for a global warming tour of Bangladesh, they picked the right girl. Her family tries to live a low-impact life — no plastic bottles, lots of bicycling. She attends New Technology High School, which, among many sustainability features, collects rainwater for irrigation. “I’m very avid about the environment,” said Yip, who returned last month from a month-long trip to Bangladesh sponsored by the U.S. Department of State in partnership with World Savvy, an organization that educates youth in community and world affairs. Thirty students from all over the U.S. visited Bangladesh because it is facing some of the worst effects of climate change, Yip said. 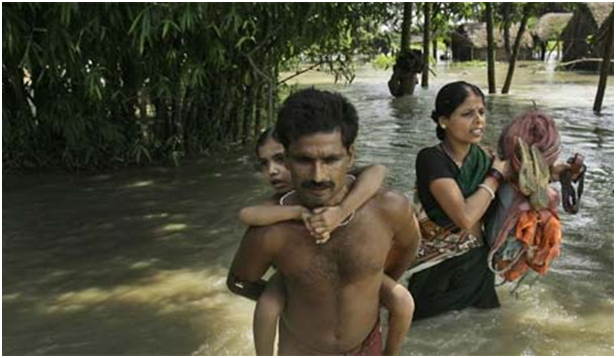 It is a low country in south Asia, with a high vulnerability to flooding. In a typhoon, as much as 70 percent of its land can be underwater, she said. Global warming is expected to raise sea levels, increasing the flood risk while also contaminating fresh water supplies, Yip said. This can harm agriculture while reducing the availability of drinking water, she said. It’s sadly ironic, Yip said, that the people of Bangladesh contribute relatively few greenhouse gases that cause global warming, yet their low-lying country is affected among the most. Students spent a week on a boat in the Sundarbans, the largest mangrove forest in the world, where they learned about how rising salt levels are causing trees to die, Yip said. Another week was spent working on a char (pronounced like “chore”), an island that gets completely washed away every five to 10 years. This forces the inhabitants to continually move and start their lives over, Yip said. While there, the students helped raise the ground level around a local school and planted banana trees. Yip said the Bangladeshi people are both hardworking and poor. Pedestrians would bang on the group’s car windows begging for money. She stayed with a host family most of the time. When the group toured, they were accompanied by security guards. The month was packed with memorable experiences, Yip said. Christmas Day was spent on a boat cruising through the Sundarbans. She met Mohammad Yunis, who won the 2006 Nobel Peace Prize for establishing a bank that makes small loans to people in the lowest economic stratum. ​​​​​​​​​​​​​​​​​​Her most unforgettable memory was the welcome with flowers by students and local people when she first walked into the village on the char. “All the children were dressed in their best clothing and with their hair slicked back and smiles. … I was blown away by all of the farm animals just scattered around, rice laying out to dry, the lack of electronics and the stares. We couldn't go anywhere without a mob following us,” Yip said. Students were cautioned to expect culture shock when they reached Bangladesh, a densely populated country of nearly 150 million people, but for her that didn’t happen until she returned to Napa, Yip said. Upon returning home, participants were expected to find projects to improve their communities and the world. For Yip, that means working with Napa Valley CanDo on the group’s mission to implement a plastic bag fee in Napa County. She expects to make presentations in local classrooms. The daughter of Julie and Chino Yip, Yip is a junior at New Tech, where she is student body vice president. She is also the student representative on the Napa Valley Unified School District Board of Education. Yip, who intends to pursue environmental studies in college, knows that many people deny man-made global warming is occurring. To ward off harmful environmental changes, she said humanity needs to mobilize. “It comes down to people being willing to sacrifice and change for the benefit of others,” Yip said. Rafiq Maqbool/Associated Press A flooded street in Dhaka, Bangladesh, in August 2004, after a monsoon. DHAKA, Bangladesh — Earlier this month, Bangladesh’s foreign minister chided the world’s developed nations for failing to honor their pledge to help this low-lying, water-logged nation adapt to the effects of climate change. Of the $30 billion that poor countries were promised three years ago, just $2.5 billion have been disbursed. “Our achievements — social, economic, environmental — of the past decades” are at risk, Dipu Moni told the Guardian. Bangladesh, much of which sits less than 20 feet above sea level, may be asking for the wrong thing. Clamoring for funds to mitigate the effects of a changing climate isn’t enough. If greenhouse gas emissions aren’t reversed in the next few decades, it may be impossible for some countries to adapt to global warming. Rather than rattling its cup, Bangladesh should be pounding tables in Washington, Beijing, Brussels and Delhi. Bangladesh has the unique moral authority to convince big polluters to change their ways: it is especially vulnerable to climate change and cannot be blamed for causing it. Scientists say that a one-meter rise in sea level could inundate 17 percent of its land mass. Meanwhile, its annual carbon dioxide emissions are a paltry 0.3 metric tons per person (compared with 19.34 for the United States). The regional security consequences of rendering uninhabitable this densely populated country of 158 million people would be severe. Where will Bangladeshis go? Not to India. That country has already ringed the border with barbed wire and machine guns. Australia? I don’t think so. According to the Bangladeshi government’s climate change action plan, as many as 20 million Bangladeshis may need to be resettled as early as 2050. “Preparations in the meantime will be made to convert this population into trained and useful citizens for any country,” the plan says. How many more will be displaced later this century or in the next one? To its credit, Bangladesh’s action plan doesn’t make dramatic claims about the present effects of climate change. But the future perils are real. According to the Intergovernmental Panel on Climate Change, the Earth’s temperature is likely to increase by between 2 and 4.5 degrees Celsius by the end of the century. According to the I.P.C.C., sea levels are expected to rise by between 0.18 and 0.59 meters during that time. The U.S. Environmental Protection Agency goes further, noting that if polar ice continues to melt “in step with global average temperature,” sea levels could increase by 0.49 to 0.79 meters by 2100. Bangladesh can adapt to this increase in sea levels at moderate expense by repairing, extending and better maintaining its 7,000 kilometer-long system of coastal dikes. The country is already conducting research into saline-resistant rice varieties. But an increase in temperature of four degrees or more would likely unlock a series of so-called “positive feedbacks” that would speed the melting of Arctic ice and raise sea levels at rates that current computer modeling can’t predict. Disappearing ice reveals the dark ocean surface, which in turn attracts more solar radiation, leading to increased warming. Melting permafrost could release long-stored greenhouse gases, and that, in turn, could bring greater warming, more melting and even higher sea levels. These positive feedbacks are immune to human effort: at some point, dikes and canals aren’t enough to keep the ocean at bay. That’s why Bangladesh should take charge now, not to get money for adaptation, but to convince the United States, China, Europe and India to reduce their greenhouse gas emissions. Its leaders shouldn’t be pacified with adaptation money. They should be raising hell. DHAKA, Bangladesh – When I first met Kohinoor Shelim she was trying to feed rice to her young daughter, but the child just screamed and kept turning her face away. Instead, the girl demanding lentils – wanting anything else except for rice, the only food her mother had been able to afford that day. Shelim told me that, Insha'Allah (God Willing), her husband, a rickshaw driver, would return later with enough money to buy more food. Home for Shelim, her husband and two daughters, is a tiny corrugated shack in one of Dhaka's biggest slums, a maze of narrow, crowded alleyways lined with squalid shelters and open sewers, spilling down to a fetid river. She'd moved to the Bangladeshi capital with her family just two months earlier. When I asked her whether life was better here, she just looked away. Her home near Bhola, a district deep in the river delta on which much of Bangladesh sits, was lost to the sea. "Over time, the river broke our house," she told me. "Until we had nothing to live in." If climate change does lead to a 3-foot rise in sea levels around Bangladesh by mid-century, as some scientists predict, then Shelim's story could echo those of 20 million climate change refugees here. It's an aspect of global warming that's only now being more fully appreciated, but which Atiq Rahman, the country's leading environmentalist, calls one of the biggest threats facing not only Bangladesh, but the world. "There will be global destabilization of populations," he told me. "The poor will be the most affected. They'll have very little to lose once they've lost their land." Rahman heads the Bangladeshi Center for Advanced Studies and was also an author of the U.N.'s Intergovernmental Panel on Climate Change reports. In Dhaka, the impact is already being felt, with some half a million migrants arriving in the city each year. That's about the population of Washington, D.C., pouring mostly into squalid slums. The biggest reason for moving is environmental degradation. "People are moving, being displaced forcibly, because of climate factors," according to Rabab Fatima, the Dhaka-based representative of the International Organization for Migration. The crowded and gridlocked capital, home to at least 12 million people (probably more, but nobody knows for sure) is already under stress because of the explosive rise in population. The number of people living in Bangladesh's capital has doubled in a decade. "Bangladesh is the most vulnerable country in the world, the frontline state of climate change," Rahman said, pointing to a large map on his wall, a thick black line across the delta, cutting off a fifth of the county. "Anything south of this line is going to under water." More than half of Bangladesh is less than 20 feet above sea level. Experts say it faces a double threat: Rising sea levels as a result of the melting ice caps and glaciers, and more extreme weather, like cyclones and heavy rain. Taken together this could generate more climate change refugees than anywhere else on earth. The country is no stranger to floods or cyclones. Both are facts of life here. But travel across the water clogged delta, and people tell you that both have been getting worse. Take the island of Gabura, or what's left of it: A May cyclone smashed the embankments that had protected the island, and now most of it is gone, taken by the sea. The houses that survived cling precariously to spits of land, while makeshift shelters made of bamboo and sticks line the top of broken sea walls. It's here I met Amjad Gazi, with his wife and six children, who were lucky to survive the raging waters. "This one almost got swept away," he wife said, pointing at their youngest son. "There was water everywhere. The currents were so strong, and we were scared." Gazi pointed out where his home used to be, and the land he had farmed for rice. All that's left is water, with a forlorn-looking cow stranded on a spit of mud beyond. Gazi still clings to a hope that the water levels may fall, enabling him to return to the land. That hardly seems likely. "I don't see how longer we can live like this," he told me. "One day we will have to leave. What else can we do?" That will mean joining the mass exodus to the cities. Even where the land has not gone, it is becoming harder and harder to live on. A two-hour drive north of Gabura, we stopped in the village of Kamira Bazar. Like much of the delta region, it floods every year, but the flooding has been getting worse, the waters are staying longer, and contaminating the fields and the wells with salt. I stood looking over the flooded fields that belonged to Sheikh Shetta. "It's never been this bad," she told me. "We haven't been able to grow anything properly here for five years." Water from the local well is no longer drinkable. As Rahman, the environmentalist puts it: "Climate change has a taste, and it tastes of salt. Freshwater is being polluted and contaminated and overcome by saltwater." This area borders India, where the authorities are building a border barrier, a high fence of reinforced barbed wire that cuts through the paddy fields. Soon it will completely encircle Bangladesh, 2,100 miles of it. International migration, millions of poor and desperate people pouring across borders, is a sensitive subject here, but it is clearly one factor in India's thinking. The fence is due to be completed by March next year. Can anything be done to avert disaster? Already entire villages are being mobilized to raise and reinforce the embankments that protect their homes, which in the past have been very poorly maintained, there are plans to plant millions of mangroves, a natural defense against tide surges. The destruction of mangroves over recent years has made the area all the more vulnerable. Other fixes, such as saline-resistant rice and better storage for drinking water are being discussed, and Bangladesh has launched an international appeal to pay for it. UNICEF is supporting a program to teach children basic swimming skills, since drowning is now the biggest cause of death among children under ten in Bangladesh. "(Climate change) here is a matter of life and death for the communities, for the people, for the ecosystem," Rahman says. "In the West it is an issue of minor lifestyle changes." Khajura, Bangladesh - In this obscure village perched on the rugged coastline along the Bay of Bengal, climate change exudes a taste. It is the flavor of salt. As recently as five years ago, water from the village well tasted sweet to Mohammed Jehangir. But now, a glassful, flecked with tiny white crystals, is briny. Like other paddy farmers in this southern village, Jehangir is baffled by the change. But international scientists aren't surprised to see such effects as global warming causes sea levels to rise. It is a sign that the brackish water from the Bay of Bengal is encroaching, surging up Bangladesh's fresh-water rivers, percolating deep into the soil, fouling ponds and the underground water supply that millions depend on to drink and cultivate their farms. Salt is slowly, yet inexorably, making its way to the rice paddies of farmers like Jehangir, destroying their only source of income. Khajura is on the front lines of climate change and some of the poorest of the world's poor are feeling the consequences of the fossil fuel emissions by industrialized nations half a world away. There is little chance of, literally, turning back the tide. The implications are dire for many millions living here and for others in low-lying areas around the world. Bangladesh tops the 2009 Global Climate Risk Index, a ranking of 170 countries most vulnerable to climate change compiled by German Watch, an international nongovernmental organization that works on environment and development issues. The nation is particularly at risk because it is a vast delta plain with 230 rivers, many of which unstably swell during the monsoon rains. This geology, combined with river water from the melting Himalayan glaciers in the north and an encroaching Bay of Bengal in the south, makes the region prone to severe flooding. The situation is made worse by the prevalence of intense storms, a marker of climate stresses. Sidr, the Category 4 cyclone that ravaged southern Bangladesh in November 2007, killed some 3,500 people, displaced 2 million and wiped out paddy fields. Sidr was followed by two heavier-than-normal floods that killed some 1,500 people and damaged about 2 million tons of food. The United Nations warns that a quarter of Bangladesh's coastline could be inundated if the sea rises 3 feet in the next 50 years, displacing 30 million Bangladeshis from their homes and farms. If that happens, the capital, Dhaka, now at the center of the country, would have its own sea promenade. But beyond the existential peril, an immediate threat comes from soil salinity that jeopardizes food output in Bangladesh, a country where 40 percent of its 150 million people live below the poverty line. In the past few years, because of rising soil salinity, Jehangir has begun noticing a white film of salt that envelops his paddy farm. "These white particles severely impede rice productivity," he complains, darting his finger at a patch of mud covered in traces of white. Paddy husks take on an abnormal red coloration before drying and wilting away, he says. "The poor quality rice doesn't sell much. It's becoming increasingly difficult to feed my family." To boost his declining income, he may follow the example of many of his neighbors, who switched to home-based shrimp farming, monetizing the salty water awash over Khajura's fields. In an occupational shift, shrimp farming is becoming more popular than cultivation. But this has come with its own share of problems. Because it is less labor-intensive, shrimp farming has contributed to unemployment, compelling some residents to migrate to cities. Recognizing the plight of farmers, the Bangladesh Rice Research Institute has increased research efforts on salinity issues. "This is a growing problem in Bangladesh," says Mohammed Firoze Shah Sikder, BRRI's executive director. "This is severely affecting crop production." A 2007 report by the Intergovernmental Panel on Climate Change estimates that the production of staple foods could drop steeply by 2050 because of soil salinity. This would be devastating in a country where agriculture is the key economic driver. This sector accounts for about 22 percent of the nation's economic output, with an additional 33 percent derived from the rural non farm economy, which is also linked to agriculture, according to the World Bank. Around 65 percent of the population is employed in agriculture. HARINAGAR, BANGLADESH—One by one, the men in Gaurpodomando's family walked out of this mud-caked village and never returned. First, his uncles went. Both fishermen, they suffered as their catch declined year after year, before they crossed illegally into India to find work in construction. His brothers earned so little fishing that they braved tiger attacks in the nearby Sundarbans forest to forage for honey and timber. Finally, they left too and brought their father with them. Now, Gaurpodomando, who said he is about 35 years old and who goes only by his first name, is the last man in his family still living in the waterlogged village along Bangladesh's Indian border. His brothers still don't know about the angry tidal flood that burst through a dam and swallowed the family home and dozens of others in September. Those who live here say that between the disappearing fish, brackish floodwaters destroying the rice fields and the ever-fiercer cyclones that seem to inhale entire villages, life is becoming almost unbearable. But Gaurpodomando, who earns the equivalent of $1.50 a day standing hip-deep in the salty river casting a net to collect shrimp fry, said he is doing everything he can to hang onto his way of life. "I do feel a little lonely and sad, but I don't really want to go to India," he said, squatting on the outdoor stoop of what was once the family kitchen but is now the only structure left to shelter him, his wife and their two children. His arms and bare feet are streaked with the slate-gray mud that covers the ground and seems never to dry. "I don't want to leave this place," Gaurpodomando said. "I don't want to leave this country. I love this place." One day soon, Gaurpodomando and an untold number of others in Bangladesh and around the world may no longer have a choice. A growing body of evidence, including analyses from military experts in the United States and Europe, supports the estimate that by midcentury, climate change will make vast parts of Africa and Asia uninhabitable. Analysts say it could trigger a migration the size of which the world has never before seen. Bangladesh could be ground zero for the geo-strategic fallout from global warming, if some of the nation's best national security minds have it right. And that makes Cyclone Sidr a big glaring warning signal. Shockingly, it's a warning signal that the major U.S. media is ignoring. Cyclone Sidr is, as I write, churning with Category 4 strength toward Bangladesh in the Bay of Bengal, where nine of the world's 13 deadliest hurricanes have struck. The official forecast, which has proven unreliable so far for this storm, predicts a decrease in strength to Category 1 storm before landfall -- still a formidable force. The frequency and intensity of hurricanes has not been definitively linked to global warming; there's robust scientific debate on that point. The certainty of sea level rise, however, is undisputed; it's just the degree to which, and speed with which, the waters will rise that is debated. Even if storms don't get stronger, the storms that do hit Bangladesh -- and any other coastal areas -- will cause greater destruction. Simply, there will be more water, closer to people -- and any storm surge rearing up will go higher and farther, and do more damage. When it comes to global warming impacts, Bangladesh is often a focal point because it is a nation of 142 million people living in low-lying, flood-prone river deltas -- and because it's a predominantly Muslim nation in a volatile, fast-growing neighborhood. Bangladesh is expected to grow in population by a staggering 100 million people in the coming decades -- the same time frame during which those storms that make landfall will be more destructive. Two think tanks, the Center for Strategic and International Studies and the Center for a New American Security, spent a year producing "The Age of Consequences: The Foreign Policy and National Security Implications of Global Climate Change," which was released just days ago. The title speaks for itself and Bangladesh figures prominently. Notably, the report deals with a very immediate time frame: 30 years. In other words, this generation. The overriding point: A child born today will, at age 30, be staring at a very different, and much more dangerous world, thanks to global warming. Further, it considered three scenarios: one that is a near certainty, one likely and one possible. I will only be referencing the scenario considered to be a near certainty, based on the accumulated greenhouse gases in the atmosphere. "It is a scenario in which people and nations are threatened by massive food and water shortages, devastating natural disasters, and deadly disease outbreaks," the relevant chapter reads. "It is also inevitable." Importantly, the report makes clear that security risks will arise "as much (due to) local political, social, and economic factors as by the magnitude of the climate shift itself." Back to Bangladesh, which according to the report, "will be threatened by devastating floods and other damage from monsoons, melting glaciers, and tropical cyclones that originate in the Bay of Bengal, as well as water contamination and ecosystem destruction caused by rising sea levels." Doesn’t sound like a place I'd want to live. And the authors assume many Bangladeshis will come to the same conclusion. In short: Refugee crisis. That explosive population will look for new homes -- "which will foment instability as the resettled population competes for already scarce resources … Others will seek to migrate abroad, creating heightened political tension not only in South Asia, but in Europe and Southeast Asia as well." That instability is a factor in "rising Islamic extremism," according to the report. And global warming, the report concludes, will help stoke that latent extremism and propel it into new territory. In other words, Cyclone Sidr matters -- not only to the 142 million in its path. Not only to everyone with a conscience and a concern for human life in an unfamiliar part of the world. It should matter to every American, since by now it's abundantly clear that our fortunes have become tied to the fates of nations around the world with extreme Islamic elements. Global warming could help make Bangladesh into a new ground zero for extremism, and Americans haven't even seen the warning sign flashing. It says Cyclone Sidr.